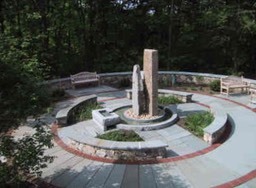 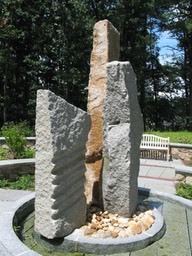 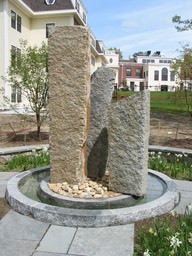 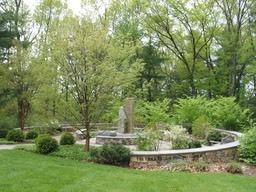 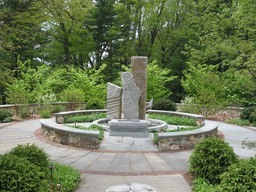 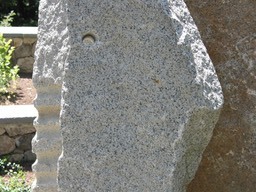 The sculpture provides opportunities for meditation and contemplation as an integral part of the Dora Efthim Healing Garden designed by Susan S. Foley for Traditions of Wayland, MA. 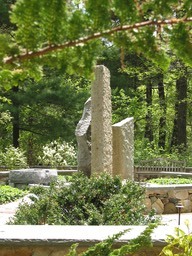 Composed of granite and water, the gathering circular shape of the sculpture's pool signifies the garden’s principal structuring concept, the native American medicine wheel. 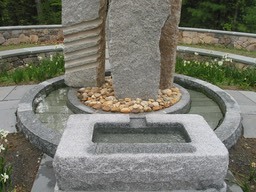 The words Illumination, Wisdom, Introspection, and Innocence, are carved into the pool’s perimeter stones.